Founded in Paris in 1895, Le Cordon Bleu earned its reputation as the ultimate in cuisine, patisserie, hospitality and gastronomy training, after a century of dedication to the culinary arts. 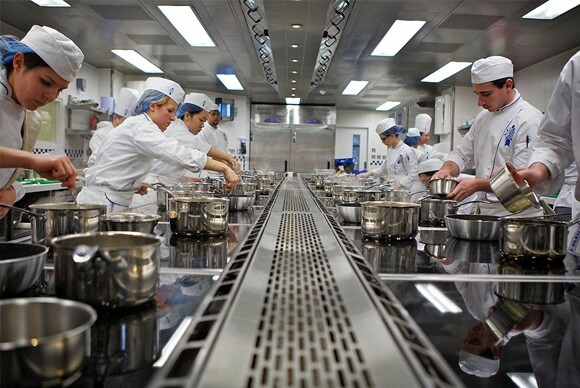 Educating over 20,000 students each year, from 100 nationalities, distributed across 35 schools in 20 different countries, Le Cordon Bleu is also home to the finest educators in the fields of cuisine and hospitality – chefs and industry professionals who have reached the pinnacle of their profession. It is with this rich heritage in mind that Le Cordon Bleu Australia was created, bringing the finest in culinary & hospitality education to students in Adelaide, Perth, Sydney and Melbourne. Le Cordon Bleu Australia offers students with the right blend of passion, drive and commitment a passport to a vibrant and exciting career in the culinary arts, hospitality and tourism. Le Cordon Bleu Australia offers vocational, bachelor and masters level degrees in Hotel Management, Restaurant Business, Tourism Management, Convention & Event Management, Gastronomic Tourism and Food Business Management. Culinary Arts program are offered at the Diplôme de Cuisine, Diplôme de Patisserie, Grand Diplôme through to the Advance Diploma of Hospitality. In less than one year it is possible to obtain the coveted Le Cordon Bleu Grand Diplôme, which is recognised worldwide by culinary professionals. It is the international passport to a rewarding and fulfilling career. Why Study at Le Cordon Bleu Australia? By choosing to study in Australia you will graduate with an internationally recognised Le Cordon Bleu qualification. In addition, you will also receive the nationally recognised Australian qualifications. At Le Cordon Bleu they pride themselves on employing educators who are at the top of their field to ensure that the education you receive is engaging, contemporary and of the highest standard. Their academic learning resources are developed by expert professional educators in association with select partner institutions in consultation with industry. All Le Cordon Bleu study programmes have been designed with a component of work-based learning. These experiences provide you with the opportunity to apply the knowledge and skills you have gained in classroom contexts and to reflect upon your personal strengths and future career aspirations. 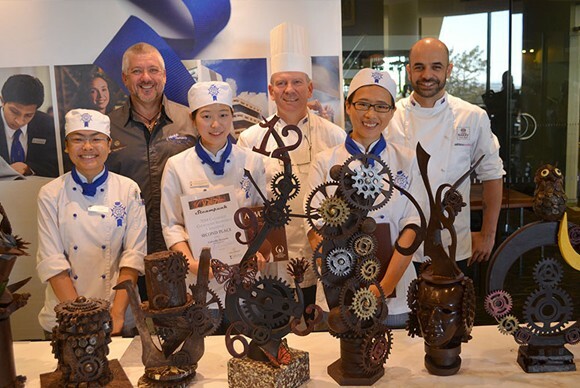 Each year over 2,000 students choose to study with Le Cordon Bleu Australia. These students come from over 20 countries creating a wonderful opportunity for you to build lifelong friendships and professional relationships. Upon graduation you will join the Le Cordon Bleu Alumni family, a global network providing even more opportunities to build your career and industry contacts. While you are studying, the Le Cordon Bleu Career Services team will work with you on a range of career development activities that will help you to develop the skills, attitudes and behaviour to manage your career, lifelong learning and work in an autonomous and planned manner. Once you graduate you will be able to continue learning with us through professional development activities coordinated through Le Cordon Bleu global Alumni network. In Australia, you can choose to ‘mix and match’ your study locations by completing part or all of your study programme in one of four locations – Adelaide, Sydney, Melbourne & Perth. It is also possible for you to incorporate other destinations such as London, Paris, Tokyo or Ottawa into your unique study plan.